Swirl design with a faux center pearl. Small discolored spot on backside of pin. 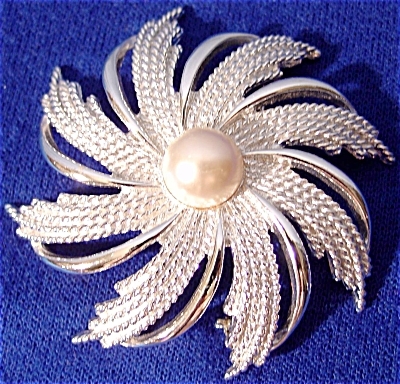 This pin is currently featured in 20th Century Costume Jewelry 1900-1980 (c.2005)by Ronna Lee Ailkins, on page 95.